The Soul is a five-door, five-seat, front-wheel-drive urban crossover, introduced by Kia long before most manufacturers had identified a market for this kind of car. It has a trim grading structure – badged ‘1’, ‘2’, ‘3’ and ‘Sport’ – in common with every other model in the Kia portfolio. Sport is an all-new version powered by a 201bhp 1.6-litre T-GDi (Turbocharged Gasoline Direct-injection) engine driving through a seven-speed dual-clutch (7-DCT) automatic transmission. 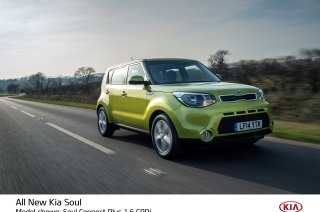 Soul is based on the Kia Track'ster concept from the 2012 Chicago Auto Show – same upright stance, square shoulders, distinctive bumper flares, wraparound greenhouse and floating body-colour ‘backpack’ panel set into the tailgate. Links to the Track'ster concept are reinforced by the styling revisions made to the model in 2017. The Urban Styling Pack is fitted as standard, and this has been revised and improved. As a result, there is a cohesive range appearance from grade ‘1’ through to grade ‘3’. The Urban Styling Pack brings a lower front grille and fog lights section with bright silver trims around the foglamps, echoed on the side sill trim. Roof rails are standard and there are 16-inch (grade ‘1’) and 17-inch (grade ‘2’) alloy wheels. Multi-focus reflector headlamps feature on grade ‘1’, while grades ‘2’ and ‘3’ have projection headlamps with black interior bezels. 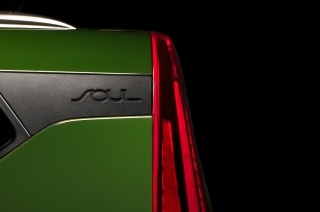 The Soul ‘Sport’ has a bespoke appearance, with red highlights above a skid plate beneath the front bumper and along the sides, a rear bumper with diffuser trim and twin exhaust tailpipes, xenon headlights and exclusive 18-inch alloy wheels. It is available in Quartz Black, Titanium Silver and Wild Orange metallic paint finishes. Themes from the Track’ster concept car are also to be found in the interior, especially in its circular patterns in the steering wheel-mounted audio controls, outer air vents which sit on the top of the fascia, deeply recessed instrument gauges and sculpted door panels. The Soul ‘3’ and Soul ‘Sport’ have 'floating’ tweeters with red mood lighting utilising LED technology to create a ripple effect. The Soul offers full connectivity with navigation and multimedia services on grades ‘2’ and above. Kia Connected Services with TomTom® is offered with Android Auto™ and Apple CarPlay™ once the system has been paired with a compatible smartphone. There is a 7-inch or 8-inch touchscreen display and 3D maps with SD upgrades. Kia Connected Services with TomTom® and Apple CarPlay™ and Andriod Auto™allows the driver to make phone calls, send and receive text messages and access music apps or audio books using Google Now or Siri voice commands, minimising distraction on the move. On grades ‘3’ and ‘Sport’ the multimedia system includes a JBL sound system with external amplifier and subwoofer. Soul ‘Sport’ has a bespoke interior, with orange stitching on the seats, gear lever, armrest and the dedicated D-shaped steering wheel, which has a high-gloss black bezel. Standard features on grade ‘1’ include USB and AUX ports, Flex Steer variable power-assisted steering (except ‘Sport’) and a tyre pressure monitoring system (TPMS). Also fitted to every model are body-colour bumpers, door handles and side mirror casings, a high-gloss black grille with chrome surround, keyless entry, air conditioning, all-round electric windows, electrically adjustable door mirrors, steering wheel-mounted controls, tilt and telescopic steering wheel adjustment, a luggage area cover, hooks and light, a trip computer and the refreshed Urban Styling Pack with roof rails. Grade ‘2’ adds navigation with a 7-inch screen linked to Kia Connected Services with TomTom® and Apple CarPlay™ and Android Auto™ compatibility, 17-inch instead of 16-inch alloy wheels, heated door mirrors with high-gloss black casings, automatic light control, high-gloss black interior trim details and satin chrome interior door handles, a leather-covered steering wheel and gear shifter, cruise control with a speed limiter, privacy glass on the rear side windows and tailgate, projection headlamps, rear parking sensors, a reversing camera and automatic air conditioning. Grade ‘3’ supplements this with 18-inch alloys, chrome exterior door handles, front and rear parking sensors, a cooled glovebox, leather seats (front two heated), a luggage underfloor tray and boot power outlet, a portable LED luggage light, a TFT supervision cluster, an engine start/stop button, aeroblade windscreen wipers, mood lighting around the front door speakers, the JBL eight-speaker audio system, an 8-inch navigation screen and rain-sensing front wipers. Finally, the unique specification of the ‘Sport’ model introduces unique 18-inch alloy wheels and larger (320mm) front disc brakes, a twin exhaust system, an electric tilting and sliding panoramic sunroof, LED front fog lights, Blind Spot Detection, Rear Cross Traffic Alert, High Beam Assist, red exterior embellishments, orange interior stitching, heated outer rear seats, 10-way driver's seat and 8-way passenger seat electric adjustment and a heated D-shaped steering wheel. The three engines in Soul are direct-injection units which spray a fine mist of fuel into the cylinders through a high-pressure injection system. This ensures the engine uses only as much fuel as it needs for the load being put on it. The result is highly efficient combustion with excellent performance. Direct injection, with turbocharging in the case of the U2 diesel engine and the T-GDi, also helps to boost low-speed response and driveability. For mainstream models, there are 1.6-litre GDi petrol and CRDi turbodiesel engines. The CRDi diesel is made at Kia's manufacturing facility at Žilina, in Slovakia. It develops 134bhp and 260Nm of torque, and 300Nm with the optional 7-DCT transmission. Acceleration from 0-60mph is achieved in 10.8 seconds with the six-speed manual gearbox, while the top speed is 112mph. The respective figures with the 7-DCT gearbox are 10.7 seconds and 113mph. Manual versions have combined fuel consumption of 58.8mpg with CO2 emissions of 127g/km, while the figures for the DCT are 56.5mpg and 130g/km. Kia's 1.6-litre GDi (Gasoline Direct injection) Gamma petrol engine in Soul develops 130bhp and 161Nm of torque. The GDi-engined Soul accelerates from 0-60mph in 10.6 seconds and has a top speed of 115mph. Average fuel consumption is 43.5mpg, with CO2 emissions of 152g/m. The Soul range offers the excitement of a 201bhp T-GDi engine in the Sport model. It develops its 201bhp at 6,000rpm, but what really gives the Sport its instantaneous response and rapid acceleration is the 265Nm of torque available without interruption from only 1,500rpm to 4,500rpm. 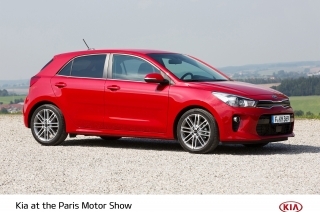 The Sport also contributes towards Kia’s goal of improving fuel efficiency and exhaust emissions thanks to its small 1.6-litre capacity, direct injection and exhaust-driven turbocharging. The combined fuel consumption is 40.9mpg, while CO2 emissions are 156g/km. Several factors contribute towards this exemplary driveability and efficiency. There is continuously variable valve timing on both the inlet and exhaust sides of the engine, electronic throttle control and light, low-friction moving parts. The twin-scroll turbocharger is integrated within the exhaust manifold. The T-GDi engine eliminates the ‘turbo lag’ between the driver pressing the accelerator and the turbocharger building up boost pressure while simultaneously improving gas flow and reducing heat losses for maximum efficiency. 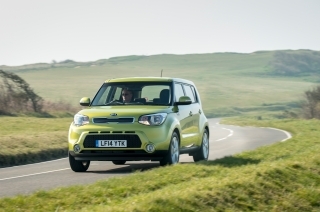 The Soul’s fun-to-drive handling characteristics are supported by a supple ride quality to cope with the deteriorating roads in many parts of the UK. The suspension bushing, suspension insulator at the front and suspension geometry at the rear are significant factors, aided by the car's structural rigidity. The Soul has Kia’s Motor Driven Power Steering system with Flex Steer, the variable-assistance function which allows drivers to adjust the degree of assistance provided according to preference and where the car is being driven. It is standard except on DCT transmissions. For parking or manoeuvring in narrow town streets, the Comfort setting offers increased assistance, while for highway driving at speed the Sport mode reduces the amount of assistance to maximise feedback and stability. There is also a Normal setting that is suited to most everyday driving conditions. 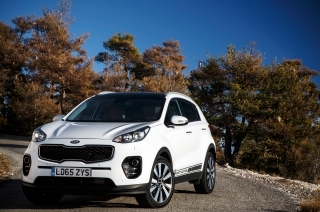 In common with all Kias, the Soul is covered by a seven-year/100,000-mile warranty covering all labour and parts except those subject to normal wear and tear. The warranty is transferable if the car is sold before the time/mileage limit expires. The Soul is available with Kia’s ‘Kia Care’ service plans, which have been developed to provide customers with a wide range of service plan options for any Kia model within the first seven years of the vehicle’s life – matching its industry-leading seven-year warranty. 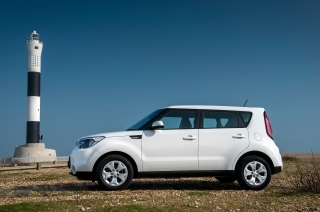 In the UK, Kia is offering four trim options with the Soul, all featuring generous levels of equipment and technology. The four grades are Soul ‘1’, ‘2’, ‘3’ and ‘Sport’. Standard features include USB and AUX ports, Flex Steer variable power-assisted steering (except ‘Sport’) and a tyre pressure monitoring system (TPMS). Also fitted to every model are body-colour bumpers, door handles and side mirror casings, a high-gloss black grille with chrome surround, keyless entry, air conditioning, all-round electric windows, electrically adjustable door mirrors, steering wheel-mounted controls, tilt and telescopic steering wheel adjustment, a luggage area cover, hooks and light, a trip computer and the refreshed Urban Styling Pack with roof rails. The unique specification of the ‘Sport’ model introduces unique 18-inch alloy wheels and larger (320mm) front disc brakes, a twin exhaust system, an electric tilting and sliding panoramic sunroof, LED front fog lights, Blind Spot Detection, Rear Cross Traffic Alert, High Beam Assist, red exterior embellishments, orange interior stitching, heated outer rear seats, 10-way driver's seat and 8-way passenger seat electric adjustment and a heated D-shaped steering wheel. 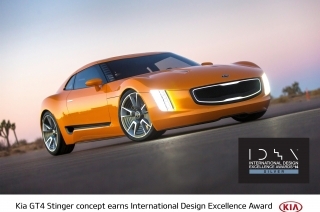 One thing that never changes at Kia is the focus on keeping operating costs to a minimum. Fuel efficiency, repairability and ease of maintenance and repair are at the heart of everything the company does, and it is all backed up by the best after-sales care in the business – a seven-year or 100,000-mile no-quibble warranty on all but routine wear and tear items, transferable to subsequent owners if the car is sold before the age or mileage limit has been reached. With its highly efficient direct-injection engines, the new Soul keeps fuel bills and taxation costs low for both private and fleet owners, while the tough new body has been designed with ease of repair in mind to minimise insurance costs. The Soul is available with Kia’s newly launched ‘Kia Care’ service plans, which have been developed to provide customers with a wide range of service plan options for any Kia model within the first seven years of the vehicle’s life – matching its industry-leading seven-year warranty. The new service plans include a comprehensive range of options including the original, traditional, first three and five services, but in addition a customer can now purchase services up to and including the seventh service which matches the full length of the warranty. The plans are available for all Kia owners and can be purchased at any point of ownership for cars up to five years old. Did you consider all-wheel-drive versions? No. While one or two competitors do offer all-wheel drive, sales of such models are very small. All-wheel drive adds weight, cost and manufacturing complexity and buyers have told us that while they want the Soul to look like an SUV and to offer the elevated driving position of one, they do not want the increased buying and ownership costs that four-wheel drive brings. Why are there no versions with your ISG stop-start system? Because the savings to UK customers through lower taxation and fuel consumption would not have been sufficient to compensate for the premium we would have had to charge for fitting ISG. 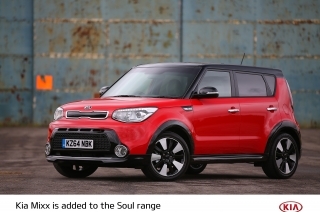 What has typically been the model mix with sales of the Soul in the UK? The diesel/petrol model share-out has been 52 per cent in favour of diesel, and just over half of sales – 51 per cent – have been to fleet, which we class as anyone who is not a purely retail customer. We anticipate that just over two-thirds of all buyers will purchase the Soul ‘2’ grade, with around 15 per cent opting for grade ‘3’. 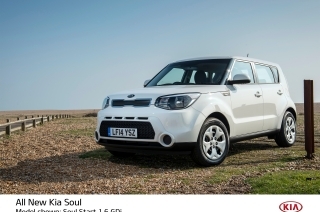 Soul ‘Sport’ will command a share of approximately 10 per cent of all registrations, with grade ‘1’ accounting for seven per cent of all sales. 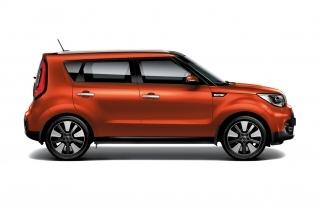 The all-new Kia Soul will make its world debut at the upcoming Los Angeles Auto Show. 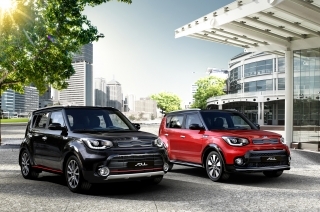 An icon of Kia design, the Soul is all new for 2020 and will come to market with a bold, immediately recognizable design, uncompromising versatility and a fun-to-drive personality. Two of Kia's Paris Motor Show stars –­ the 2017 Soul crossover and Carens compact MPV – are now on sale in the UK. Both feature upgraded exterior and interior styling, improved standard equipment and, for the first time, state-of-the-art connectivity systems. 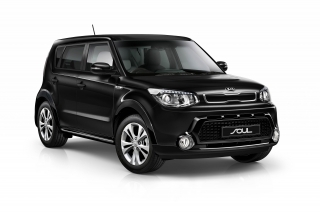 Kia has announced details of a range of upgrades to the Soul compact SUV, and the introduction of a powerful new 201 bhp 1.6-litre T-GDI engine variant, the most powerful Soul ever engineered by the Korean brand.